Research is the most widely used tool to increase and brush-up the stock of knowledge about something and someone. In the field of marketing, business, sociology, psychology, science & technology, economics, etc. there are two standard ways of conducting research, i.e. qualitative research or quantitative research. While the qualitative research relies on verbal narrative like spoken or written data, the quantitative research uses logical or statistical observations to draw conclusions. In a qualitative research, there are only a few non-representative cases are used as a sample to develop an initial understanding. Unlike, quantitative research in which a sufficient number of representative cases are taken to consideration to recommend a final course of action. There is a never-ending debate on, which research is better than the other, so in this article, we are going to shed light on the difference between qualitative and quantitative research. Meaning Qualitative research is a method of inquiry that develops understanding on human and social sciences, to find the way people think and feel. 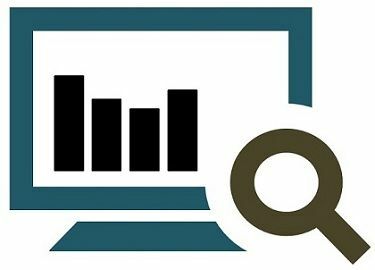 Quantitative research is a research method that is used to generate numerical data and hard facts, by employing statistical, logical and mathematical technique. Objective To explore and discover ideas used in the ongoing processes. To examine cause and effect relationship between variables. Methods Non-structured techniques like In-depth interviews, group discussions etc. Structured techniques such as surveys, questionnaires and observations. Qualitative research is one which provides insights and understanding of the problem setting. It is an unstructured, exploratory research method that studies highly complex phenomena that are impossible to elucidate with the quantitative research. Although, it generates ideas or hypothesis for later quantitative research. Qualitative research is used to gain an in-depth understanding of human behaviour, experience, attitudes, intentions, and motivations, on the basis of observation and interpretation, to find out the way people think and feel. It is a form of research in which the researcher gives more weight to the views of the participants. Case study, grounded theory, ethnography, historical and phenomenology are the types of qualitative research. Quantitative research is a form of research that relies on the methods of natural sciences, which produces numerical data and hard facts. It aims at establishing cause and effect relationship between two variables by using mathematical, computational and statistical methods. The research is also known as empirical research as it can be accurately and precisely measured. The data collected by the researcher can be divided into categories or put into rank, or it can be measured in terms of units of measurement. Graphs and tables of raw data can be constructed with the help quantitative research, making it easier for the researcher to analyse the results. Qualitative research is a method of inquiry that develops understanding on human and social sciences, to find the way people think and feel. A scientific and empirical research method that is used to generate numerical data, by employing statistical, logical and mathematical technique is called quantitative research. Qualitative research is holistic in nature while quantitative research is particularistic. Qualitative research is exploratory. As opposed to quantitative research which is conclusive. The reasoning used to synthesise data in qualitative research is inductive whereas in the case of quantitative research the reasoning is deductive. Qualitative research is based on purposive sampling, where a small sample size is selected with a view to get a thorough understanding of the target concept. On the other hand, quantitative research relies on random sampling; wherein a large representative sample is chosen in order to extrapolate the results to the whole population. Verbal data are collected in qualitative research. Conversely, in quantitative research measurable data is gathered. Inquiry in qualitative research is a process-oriented, which is not in the case of quantitative research. Elements used in the analysis of qualitative research are words, pictures, and objects while that of quantitative research is numerical data. Qualitative Research is conducted with the aim of exploring and discovering ideas used in the ongoing processes. As opposed to quantitative research the purpose is to examine cause and effect relationship between variables. Lastly, the methods used in qualitative research are in-depth interviews, focus groups, etc. In contrast, the methods of conducting quantitative research are structured interviews and observations. Qualitative Research develops the initial understanding whereas quantitative research recommends a final course of action. An ideal research is one, which is conducted by considering both the methods, together. Although, there are some particular areas which require, only one type of research which mainly depends on the information required by the researcher. While qualitative research tends to be interpretative, quantitative research is concrete. Thank you so much it helped me a lot..
May the force be with you ,!For giving me the light of this paradigm.. Appreciate the effort. Nicely articulated. It was really helpful kindly don’t tell my teacher that i copied it from here. Wow… you are doing a great job… much hugs for this…. well explained to the level of a grade four… THANK YOU….XOXO…. It helped alot. Thank you so much. Thank you so much for this! My professor did not know how to differentiate the two, and it was extremely annoying!